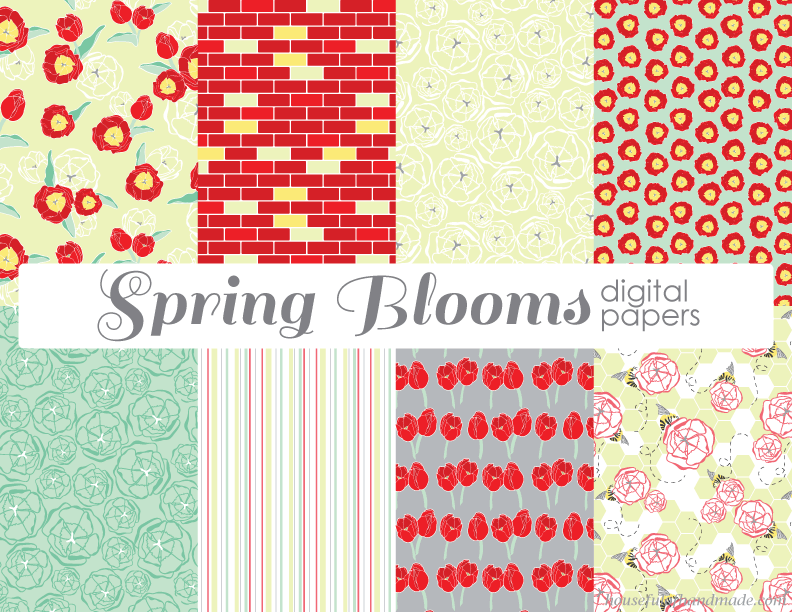 I am finally done creating my Spring Blooms patterns and I am ready to share. Do you remember my inspiration tulips? These beautiful blooms have since died, but I have been keeping them alive by capturing all their beauty digitally! It’s been such a fun process. This has been my very first surface pattern line that I have created. 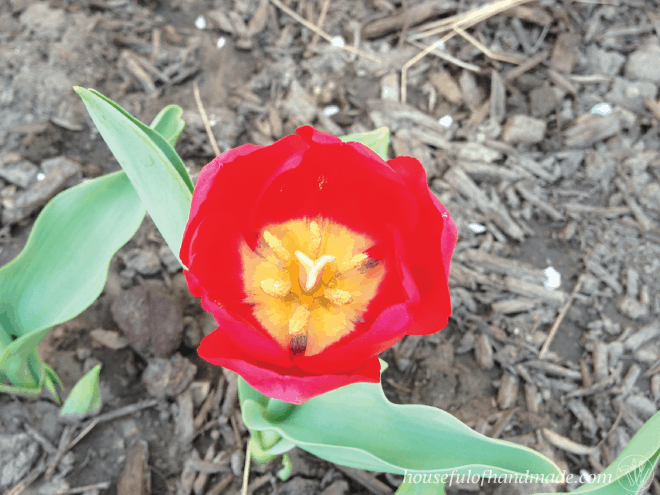 I started with the inspiration of the tulips in my garden, and just let my creativity flow. I am really loving how everything turned out. 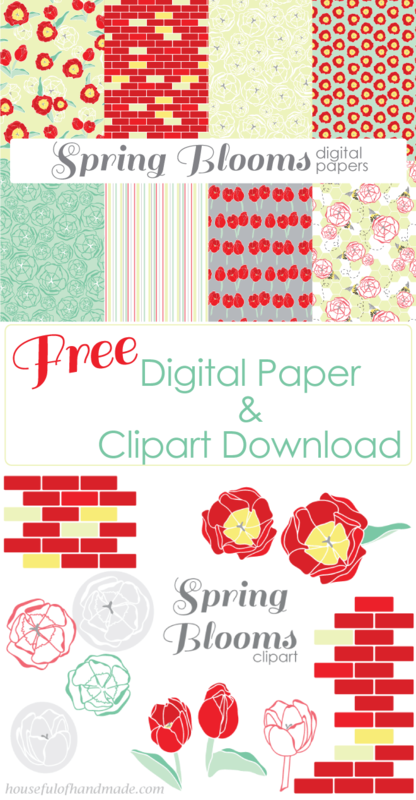 I decided to turn my entire line of patterns into 8 digital papers and 11 pieces of clipart. And I have decided to share them for FREE!!! Yeah! Everyone loves free stuff. You may recognize a couple of these from the April iPhone and Desktop backgrounds. These are just a few of the many ideas you can find out there! There are so many great ways to decorate and use them. 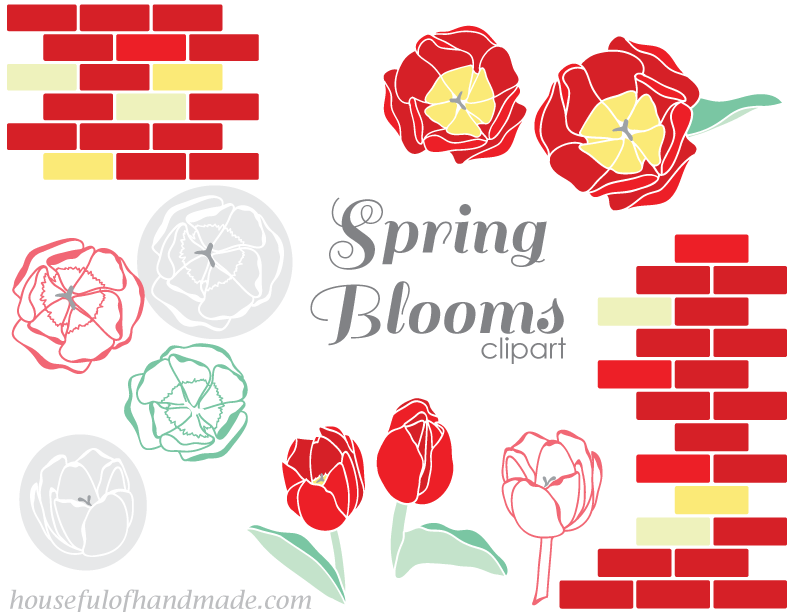 If you want to start decorating with spring, click the links below to download the files. I have been working on a beautiful wood and paper wreath for my front door using the digital papers. I will be sharing the tutorial for the wreath with you later in the week. What would you like to make with the Spring Blooms? 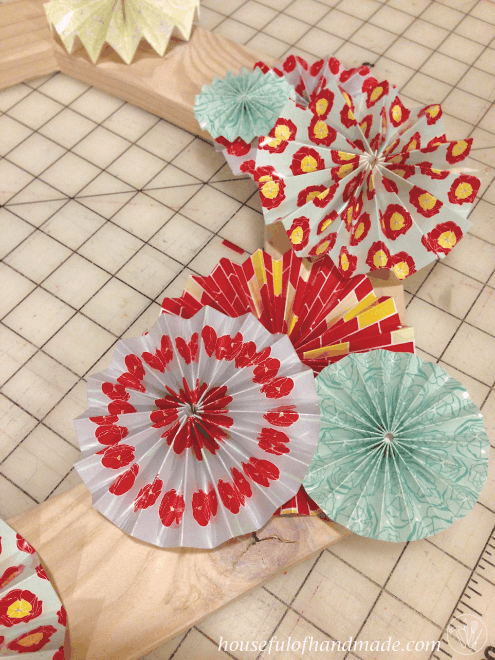 Thanks for sharing your beautiful patterns on the Spring Craft Blog Hop. What lovely papers, gorgeous patterns. Your pinwheels (that is what they aren’t they?) are so cute. Thank you Kate! I’m so glad you like them. The pinwheels are so fun to make, I just posted about my wreath that I used them on. Thanks for visiting Lorraine! I’m glad you like my patterns.